The TP-LINK TD-W9970 VDSL2/ADSL2+ WiFi Router is an incredibly robust all-in-one device allowing users to access high-speed Internet connection via VDSL/ADSL, 3G/4G Modem or Ethernet WAN (EWAN) using its interchangeable LAN/WAN port and share it wirelessly at 300Mbps wireless 802.11n speeds. With its multifunctional USB port, users can share printers, files and media across the local network or share files & media via the internet. All-in-one modem, NAT router and WiFi access point all in one device. Features dual-WAN ports, compatible with VDSL/ADSL/Fibre/Cable services. Supports up to 10 IPSec VPN tunnels simultaneously. Wireless-N speeds upto 300Mbps making it ideal for heavy bandwidth consumption. Guest Network Access provides secure WiFi access for guests sharing your network. Supports latest Internet Protocol IPv6 to future-proof your network. WiFi On/Off switch allows you to turn wireless radio on or off. Using the TP-LINK TD-W9970 WiFi Router’s multi-functional USB 2.0 port, users can share printers, files and media either throughout the network at home with several different computers or even away, using the device’s FTP server functions so that you never have to part with your files. 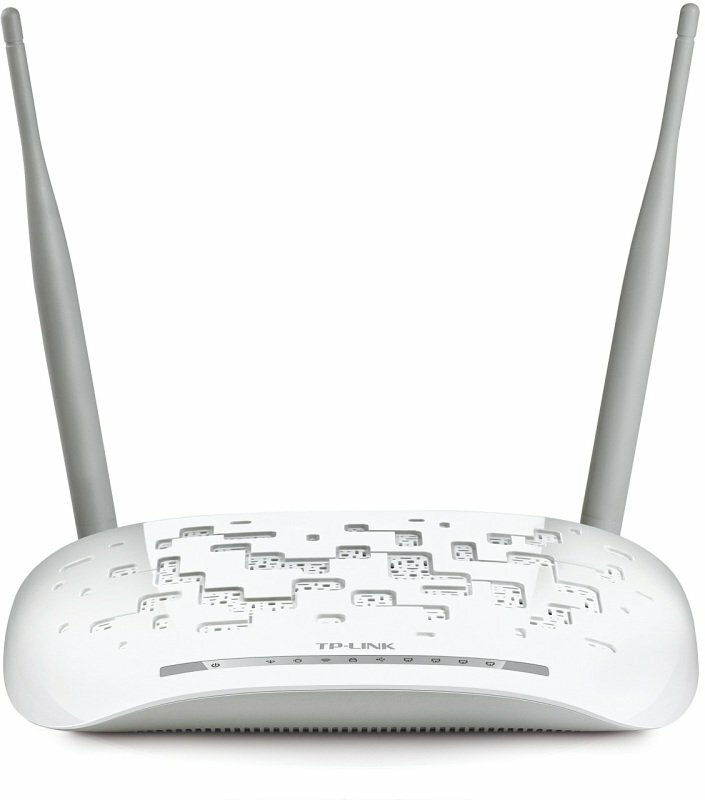 The ability to support up to 10 IPsec VPN tunnels simultaneously gives the TP-LINK TD-W9970 WiFi Router users the flexibility to setup a virtual private network, to guarantee network security and take advantage of network access whether at home or away, for work or simply to access files from their local networks. The TP-LINK TD-W9970 WiFi Router supports VDSL2 and backward compatible with ADSL2+/ADSL2/ADSL, featuring high broadband speeds of up to 100Mbps. It is designed to support the wide deployment of triple play services such as voice, video, data, high-definition television (HDTV) and interactive gaming. TP-LINK’s TD-W9970, comes with the latest ITU-T G.993.2 VDSL2 standard, providing up to 100Mbps speed downstream and up stream, compatible with ADSL, fiber and cable services. With 300Mbps wireless speed over 2.4GHz band, the TP-LINK TD-W9970 WiFi Router is a perfect choice for users in search of seamless HD video streaming, online gaming and other bandwidth-intensive tasks. 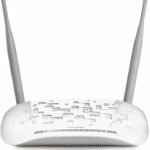 The TP-LINK TD-W9970 WiFi Router supports VDSL/ADSL or Ethernet WAN connections (EWAN) that allow users to have the flexibility of different Internet connections. Featuring an interchangeable LAN/WAN port, it is compatible with Fiber/Cable service. This unique feature makes it easier when users need to change to fiber or cable services when necessary.